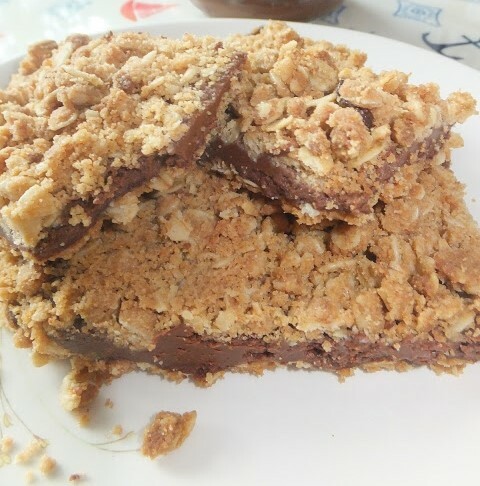 You can of course make these yummy Nutella Crumblies with any variety of hazelnut chocolate spread, but it's one brand we are committed to, other varieties just don't measure up. Beware they are very moreish and won't last long, but will be fine in an airtight tin for a few days. 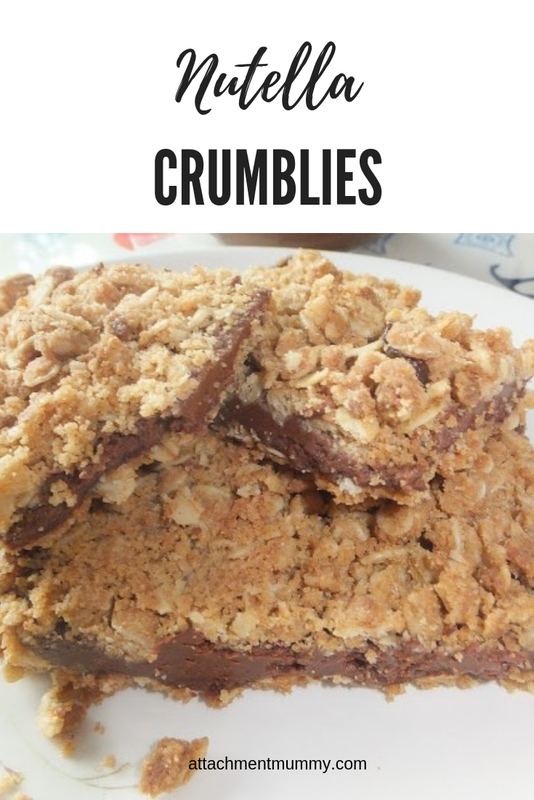 The crumble topping can sometimes be prone to falling off, but if it does just sprinkle the chocolatey oatyness over fruit and yogurt or ice cream - yum! You could also try this recipe with jams or curds, we love the lemon curd version to take on summer picnics. 1. Preheat oven to 180°C. Grease and line a baking tray. 2. Place the butter in a heavy based saucepan over a low heat. 3. While waiting for the butter to melt, combine the flour, sugar, baking powder, salt and oats in a large bowl. 4. Pour the butter over and mix well. 5. Keep back around a quarter of the mixture and press the rest into the greased and lined baking tray. 6. Warm the chocolate spread in the microwave or over boiling water on the hob for a minute, then pour over the oaty base. 7. Sprinkle the reserved oat mixture over the top and bake for 20-25 minutes until golden brown. 8. Leave to cool in the tin, then slice. It will keep in an airtight container for several days, but probably won't last that long!